Manchester United are back on the winning path, beating West Ham 2-1 on Saturday in a match that could have made things much harder for them. Paul Pogba scored from the two penalties United had, one before and after Felipe Anderson’s goal for the visitors. The Devils did not shine in this match either, as they did not in either of their two previous home league games, but they have won all of them despite that and now the team is setting sights on Barcelona. It must be said, Manchester United were lucky to get two penalties and score them both. They did not create much from open play and with the first penalty being an obvious mistake from the referee, the Devils were lucky Video Assistant Referee is expected to make his mark on Premier League from the start of next campaign. Paul Pogba scored them both and got to 13 league goals and nine assists this season. This is his best season in the red shirt by some distance, even though seven of his 13 goals were from penalties and only five from open play. 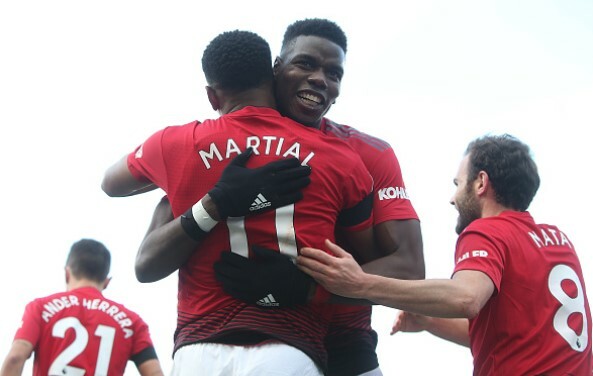 The match against Wolves proved, the one against Barcelona did the same and this one has made the message even clearer – Ole Gunnar Solskjaer will have a big task in front of him this summer. As a former Man United player, Solskjaer will be eager to make this team challenge for Premier League title as soon as possible and return it where it belongs. Still, having in mind how much United are behind the top two teams this season and how big issues the side has of competing at the highest level for longer periods of the season, it will be all but an easy job. Javier Hernandez came back to Old Trafford, he got ovations from the fans, but once again he showed that he is far from the necessary levels to lead the attack of a Premier League team. In fact, he has been far from those levels for some time now. Chicharito has scored just seven goals this season, but only three from open play and it was not a surprise on Saturday that he did not find the net. In his last five appearances he has made just two shots and such appalling statistic will make Manuel Pellegrini look elsewhere in the summer. Man United did not shine, but they won against West Ham and that matters the most right now. And after Sunday, when Liverpool won 2-0 against Chelsea, this top four race is getting better for the Devils. They are now still two points behind Chelsea, but with a game in hand and a match against them coming soon. That will be a perfect chance for Solskjaer’s team to put the Blues behind and then finish off Arsenal to end in Champions League places. For that to happen, Solskjaer and his players must improve, though.